Summer is no time to slave over a hot oven, but it *IS* time to eat a bunch of delicious chilled desserts! Check out these no-bake beauties! 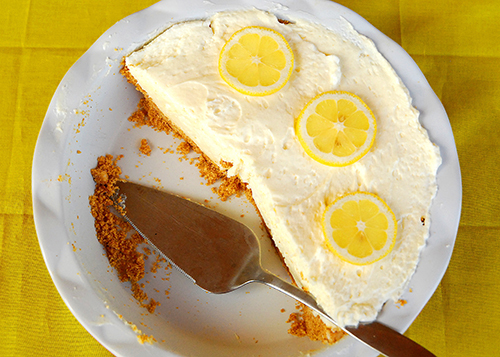 Also known as “Lemon Ice Box Pie”, this no-bake, super easy recipe is quick and absolutely delicious on a hot summer night (morning, afternoon?). Mmmmmm. 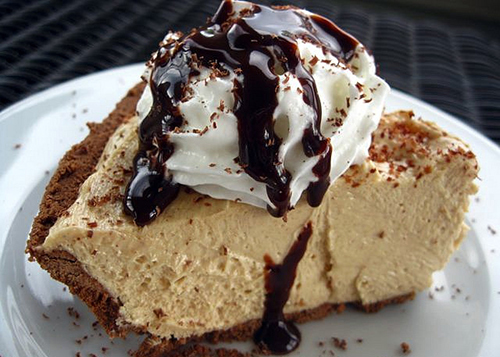 Spread ice cream onto bottom of crust. Sprinkle crushed cookie over the top. Freeze 3 hours. Remove pie from freezer 15 min. before serving. Top with whipped topping and grated chocolate. Squeeze juice from lemons into a medium mixing bowl. Stir in condensed milk and whipped topping. More of a chocolate and peanut butter kinda gal/guy? Here’s a simple, no-bake option that’s sure to satisfy. In a mixing bowl, beat cream cheese, peanut butter, 1 cup sugar, 1 tablespoon butter, and vanilla until smooth. Whip the cream, and fold into the peanut butter mixture. Gently spoon filing into crust. Garnish pie with chocolate or cookie crumbs if desired. Refrigerate for several hours before serving. Nothing better than fresh summer berries! Here’s a pie highlighting their sweetness atop a delish and smooth custard pie. Whisk together pudding mix and cream in a bowl until very thick, about 2 minutes. Spoon mixture evenly into pie crust and smooth. Chill, covered, about 30 minutes. Heat jam in a small saucepan over low heat, stirring occasionally, 2 to 3 minutes. 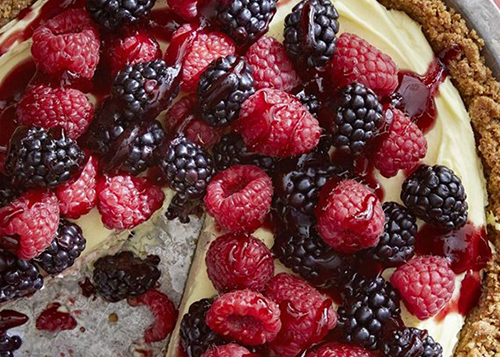 Mix blackberries and raspberries together. Mound berries over pudding mixture and drizzle warm jam over top. Chill, loosely covered, at least 30 minutes and up to 1 day. No need for a campfire here. 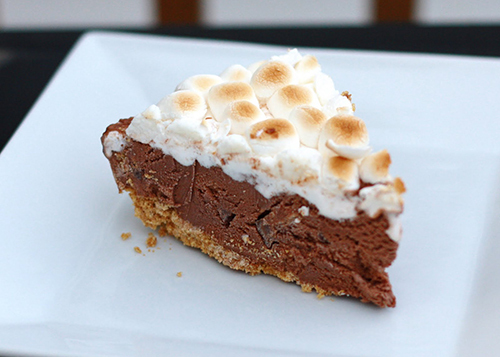 This ice cream pie is like a frozen s’more! 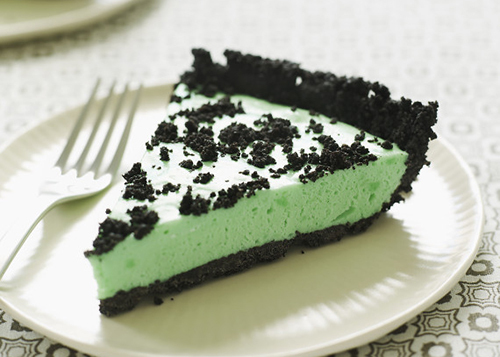 Carefully spread ice cream into crust; freeze until firm. Spread marshmallow creme over ice cream. Top with marshmallows; gently press into creme. Cover and freeze 4 hours or overnight. Just before serving, broil 6 in. from the heat for 1-2 minutes or until marshmallows are golden brown. Previous PostFREE Cocheco Arts Children’s Series every Tuesday morning! Next Post6 Life Hacks *perfect* for summer. So cool!